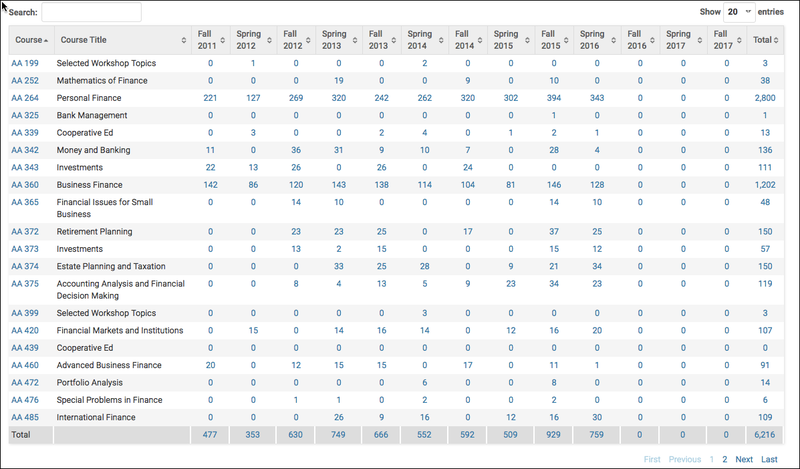 A courses taught report will display all of the teaching information for a selected range. Select desired scope and settings of the search. 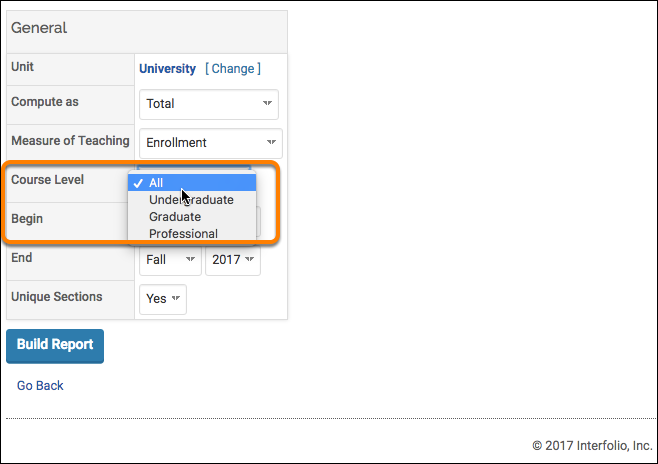 Select the specific information to display in the Measure of Teaching field. The following measures can be displayed for the selected faculty/units. 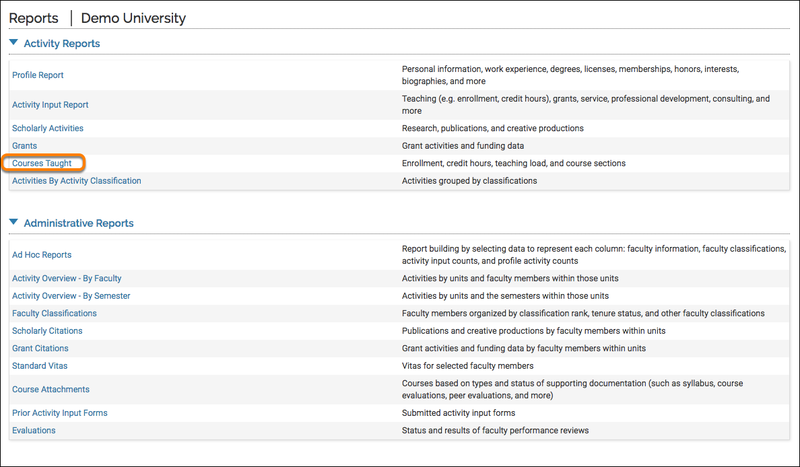 Choose the relevant course levels to display: All, Undergraduate, Graduate, or Professional. 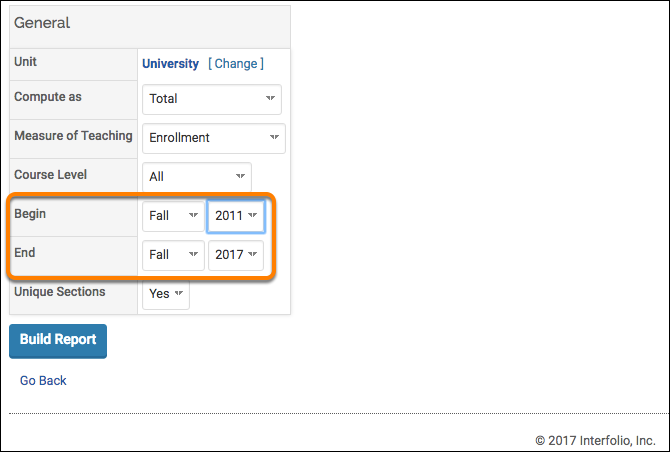 This allows you to easily narrow the displayed course information by the assigned course level, field. 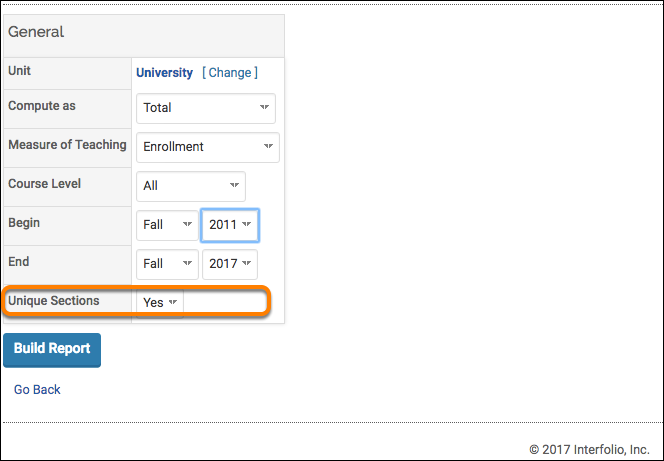 Select the Begin and End date for relevant course information. 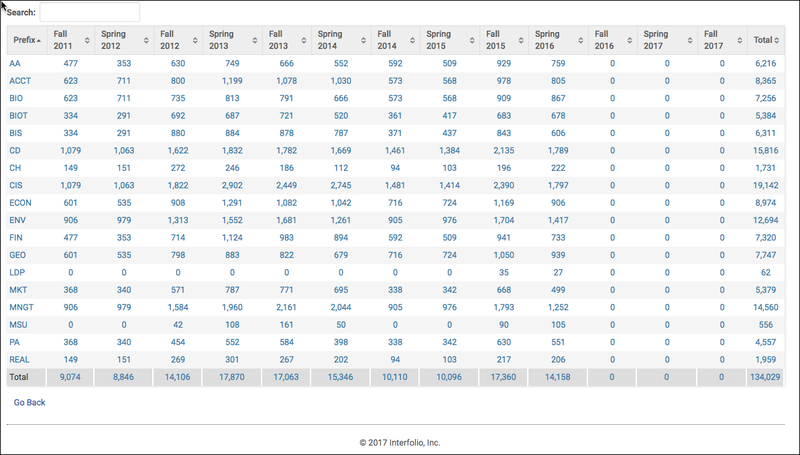 After running your report, you are able to dive into the different aspects of the data to see more specific information. 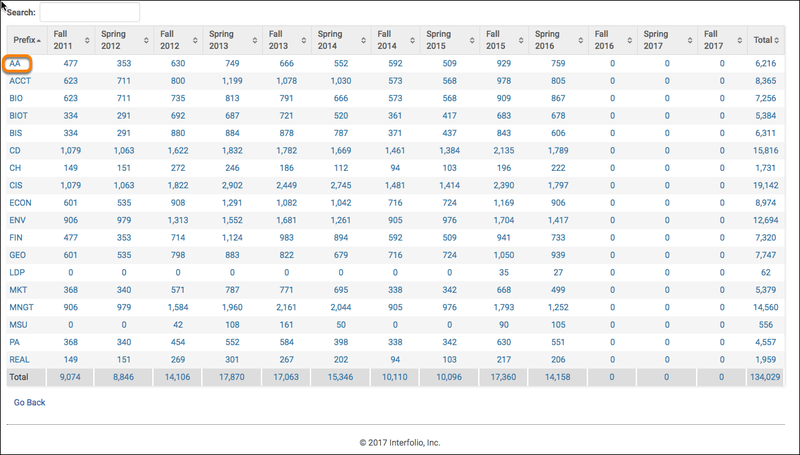 Dive into the information that you are most interested in by selecting the link. 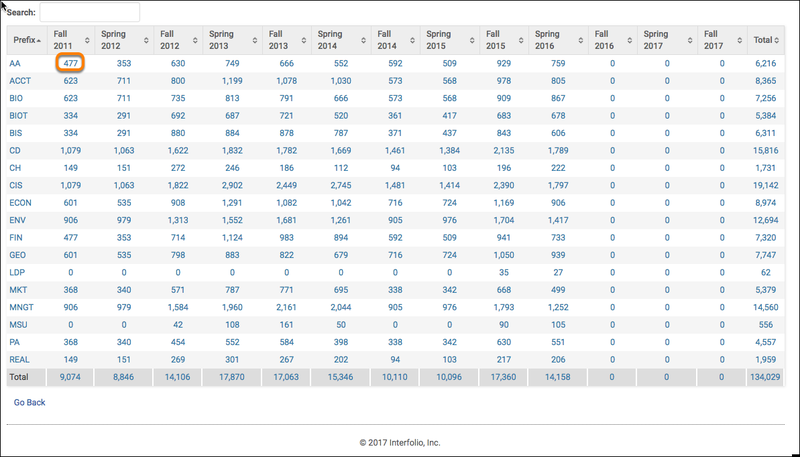 Select a unit prefix to limit the view of the report and dive into all selected information for only that unit, AA (Agricultural Accounting) is selected in the example below. 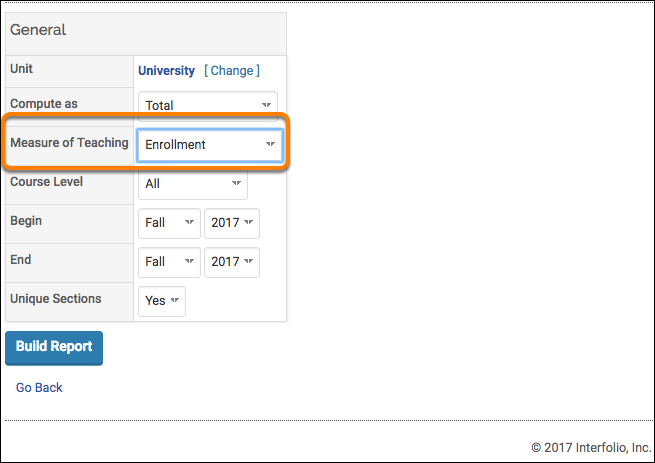 When selected, all relevant courses for the range are displayed. 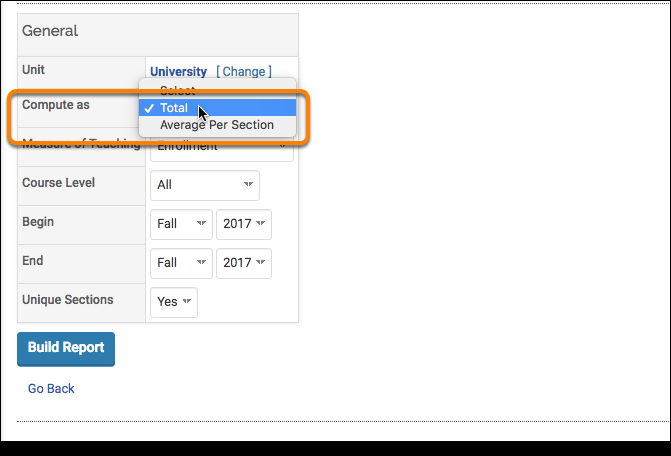 You can further dive into a specific semester, summary total, or single course, by selecting the relevant link. 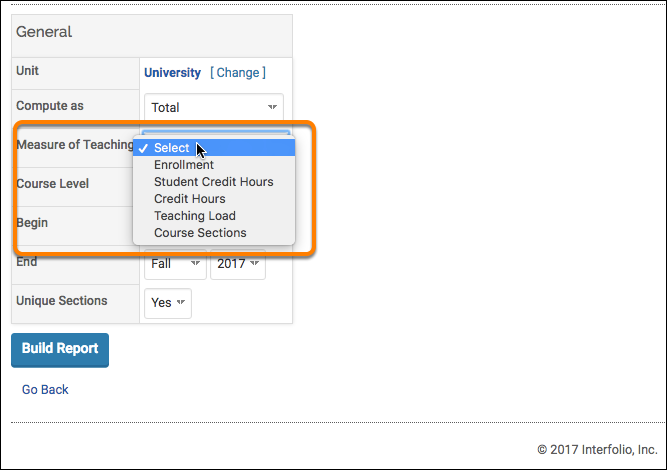 Selecting a single semester total, will narrow the information and courses displayed to that semester. 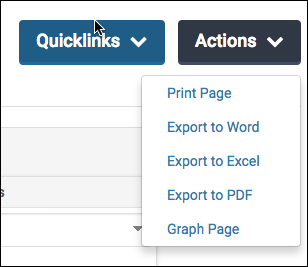 After you have ran the report, or at any stage during the drill-down process you can easily 1. modify, 2. save this report for later use or 3. export in a variety of formats.